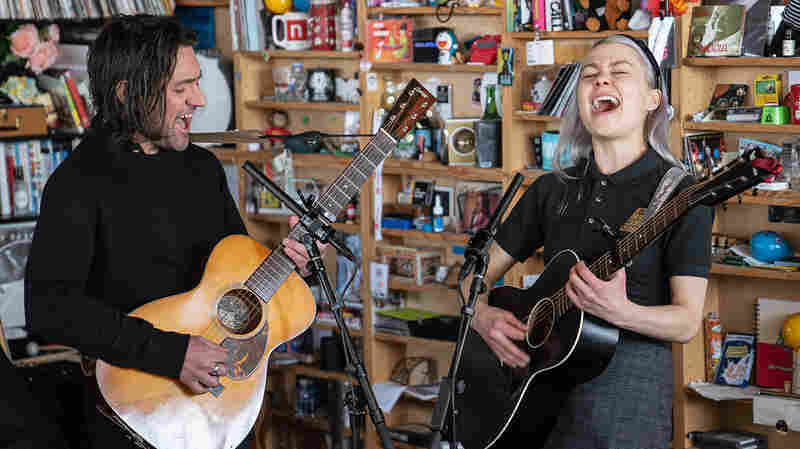 Boygenius: Tiny Desk Concert Julien Baker, Lucy Dacus and Phoebe Bridgers are all Tiny Desk alumae, but here they play together at NPR for the first time as boygenius, one of this year's best surprises. 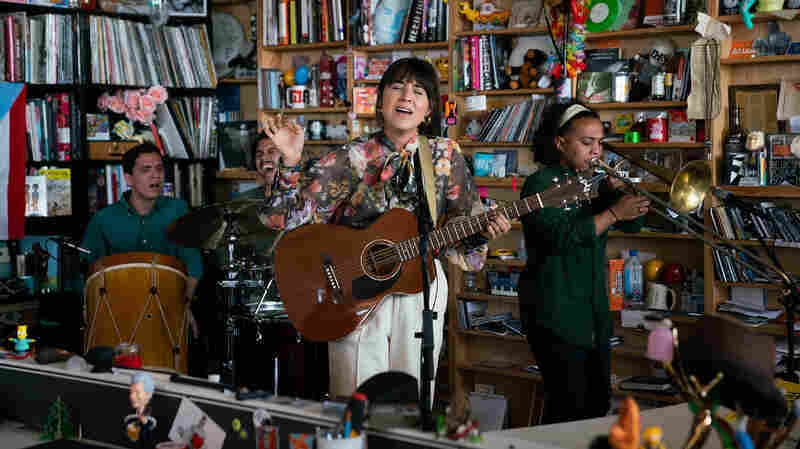 The group is new, but all of the members of boygenius — Julien Baker, Lucy Dacus and Phoebe Bridgers — are Tiny Desk Concert alumae. In fact, Julien has been behind my desk twice before. So when the usual nerve-racking session was over and I shouted out, "So, is it any easier the second or third time?" I had to laugh when I got a resounding "No!" from all of them. 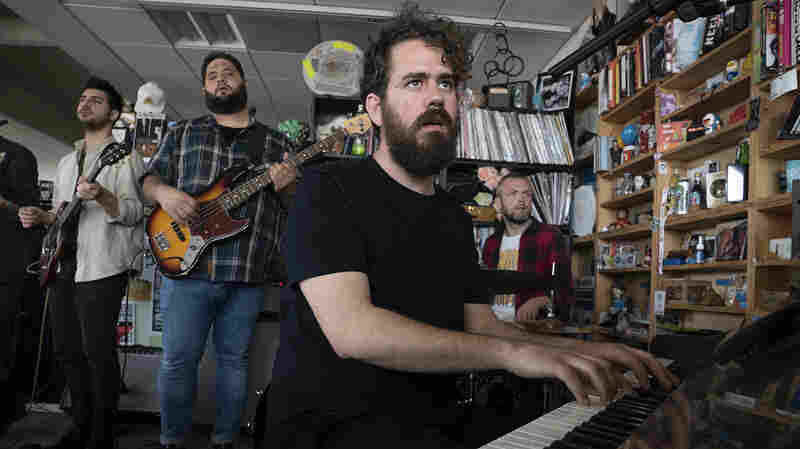 The notion of playing in broad daylight, in an office, without having your voice coming out of a PA and with an audience close enough to touch is not only intensely intimate but also intimidating. That's not only true to these three, newly collaborating, under-25-year-olds. It was also true of, say, Ralph Stanley (who was older than their ages combined) when he sang a cappella behind my desk. 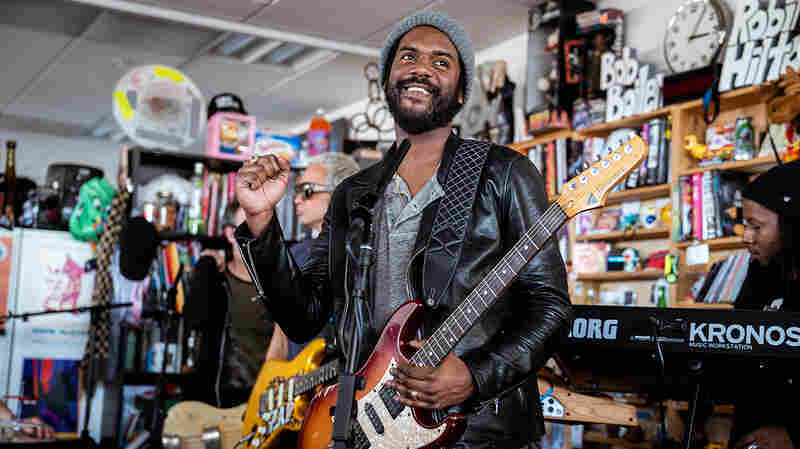 But what came through as these three heartfelt singers performed was the strength of their songs. My first attraction to each of them as artists was the songwriting. 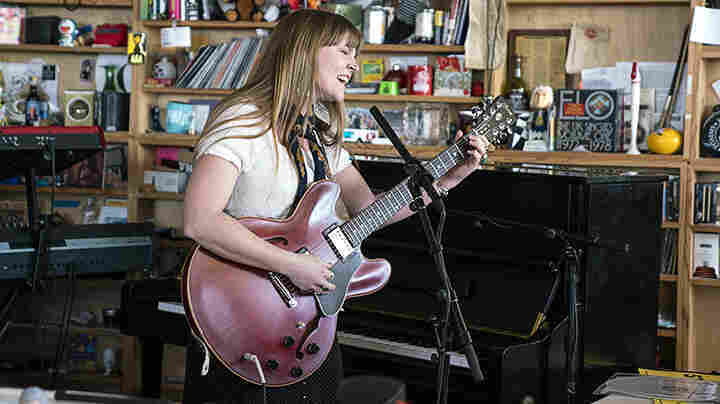 In fact, the title track to Julien Baker's first album, Sprained Ankle, is what got me to a show of hers early in 2016, which introduced me to the opening act, Lucy Dacus. (You can hear them tell their tale on an upcoming All Songs Considered.) 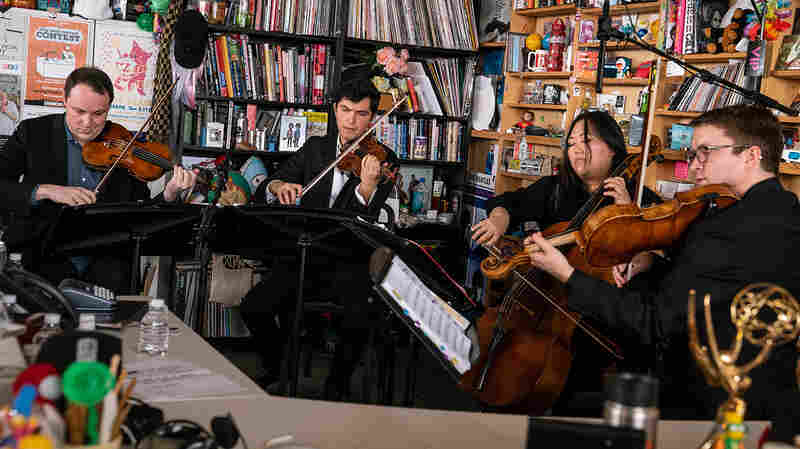 Boygenius only has six total tunes, all from their just-released, self-titled EP, and here they perform half of that catalog. 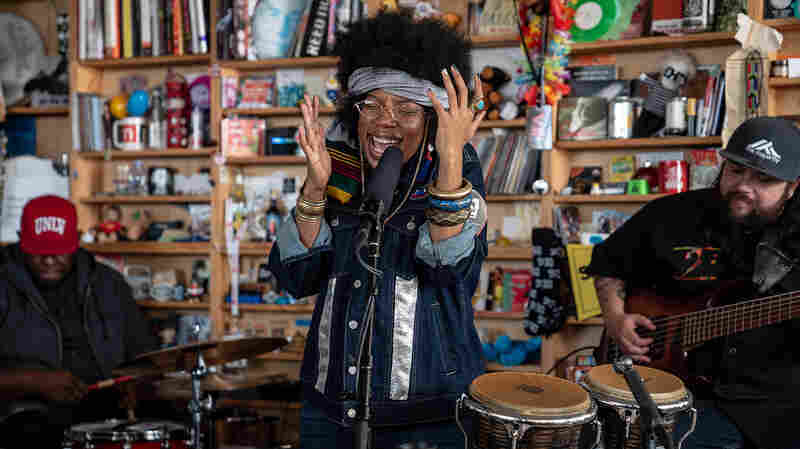 What you get at the Tiny Desk is a frailer version of these more fleshed-out songs from a band that is likely quite temporary. 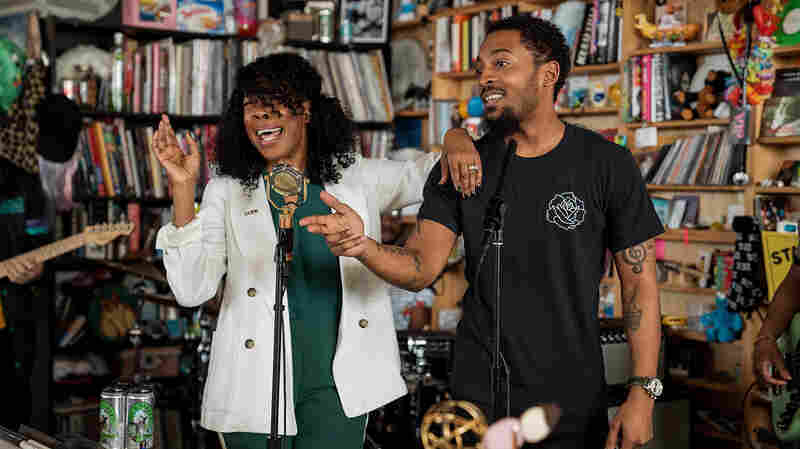 For their closing tune at the Tiny Desk, "Ketchum, ID," Julien, Phoebe and Lucy each take a verse. 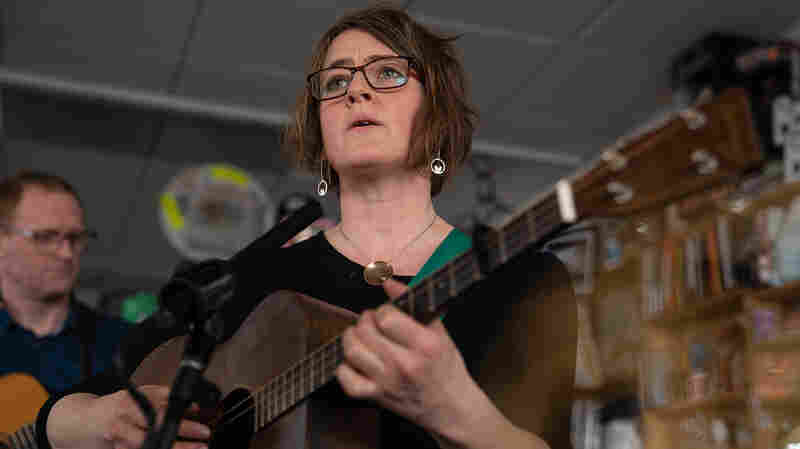 Lucy's verse ends the song with the line, "Let's dissolve the band, move to Idaho." 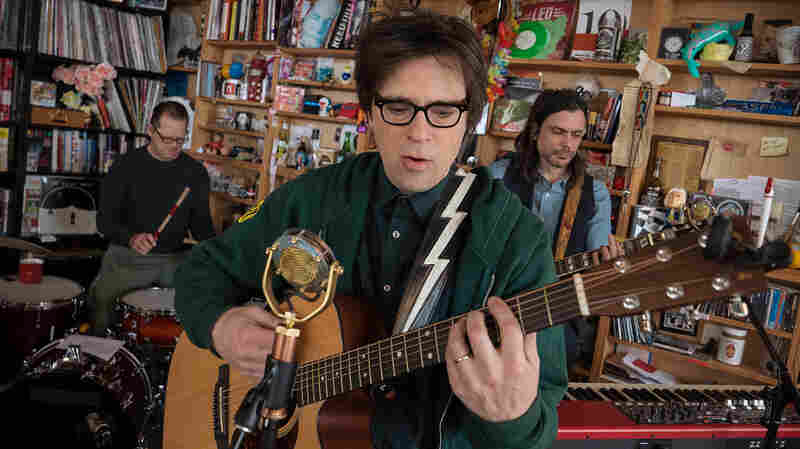 And the chorus to the song, in stunning harmony, echoes the mileage of the lifestyle, how they live and how they met: "I am never anywhere / Anywhere I go / When I'm home I'm never there / Long enough to know."